The Park Police District comprises the area bordered by Geary Boulevard, Steiner, Market, Upper Market, 7th Avenue and the vast east end of Golden Gate Park. The men and women officers at Park Station serve the communities of Cole Valley, Haight Street, the Western Addition, Twin Peaks, and the Duboce and Castro areas. They work in patrol cars, on foot beats, on buses, patrol wagons and off-road vehicles from the renowned bucolic stretches of Golden Gate park to the world-famous thoroughfares of Haight Street and Castro Street. Built originally as quarters for the Mounted Unit, the station was reopened in 1995 after a complete refurbishing, maintaining the original 1910 Mission-style façade with its stucco walls and tile roof. The station is now an efficient, functional and secure place for officers, as well as a non-intimidating building for the residents and visitors on the surrounding neighborhoods. Captain Una Bailey grew up in Dumanway, a town in County Cork in the southwestern portion of Ireland. 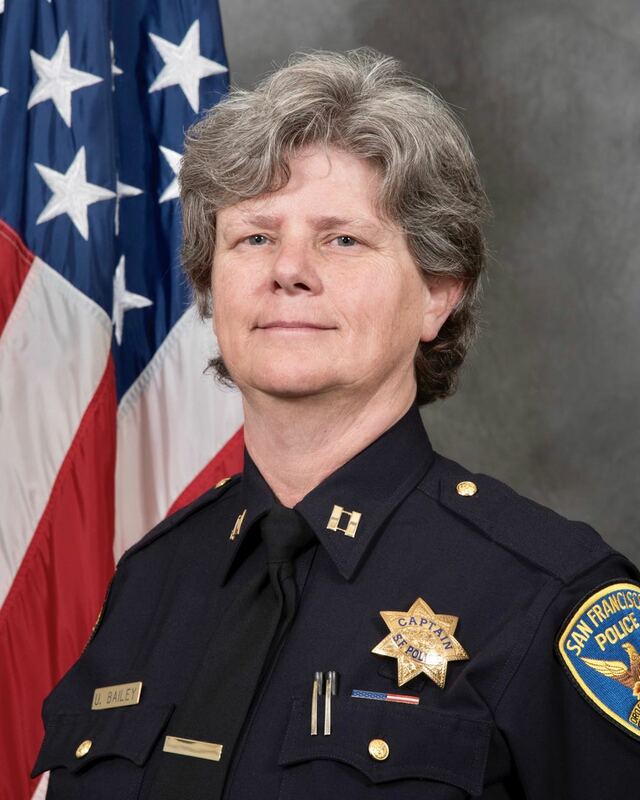 She moved to San Francisco more than 30 years ago and joined San Francisco Police Department in 2001. Bailey was drawn to police work because of her interest in solving crimes and helping people. She initially served at Ingleside and Central Stations before moving to Mission Station, where she worked on outreach to the homeless. Following a promotion to the rank of Sergeant, Bailey served at Tenderloin Station before working investigations in the Special Victims Unit, in Risk Management and at Ingleside Station. After being promoted to Lieutenant, she served at Richmond and Taraval Stations and in the Special Victims Unit. She was promoted to Captain of that unit in 2016 and became Park Station Captain in October, 2017. Community Updates are an information newsletter to inform the Park residents of incidents occurring in the district.